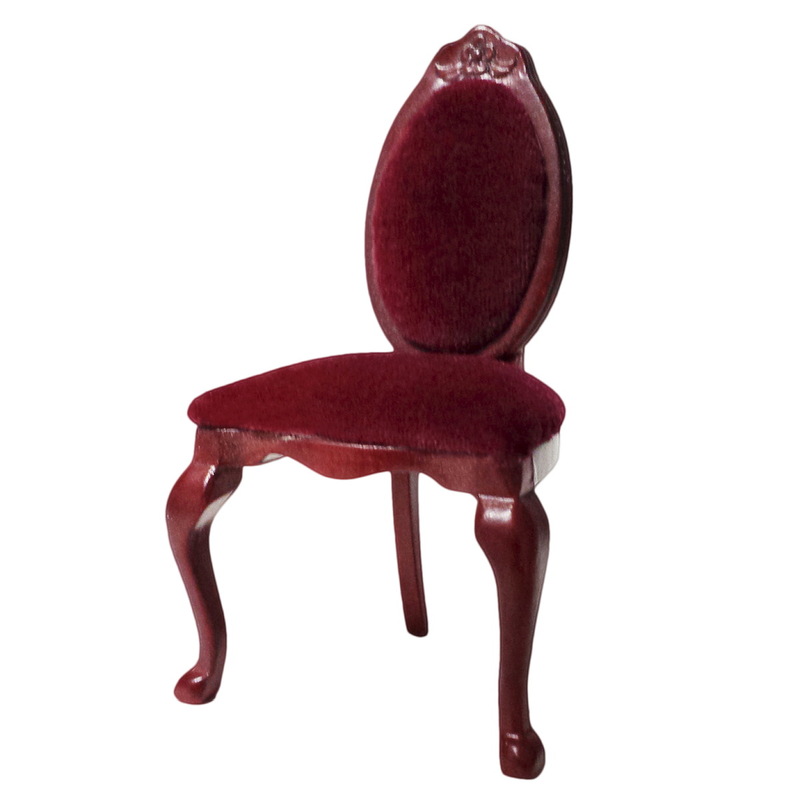 Café chair, upholstered with red velvet. Finished furniture made of natural wood, varnished in mahogany color. The pictured coffee house table (#41007) is not included.